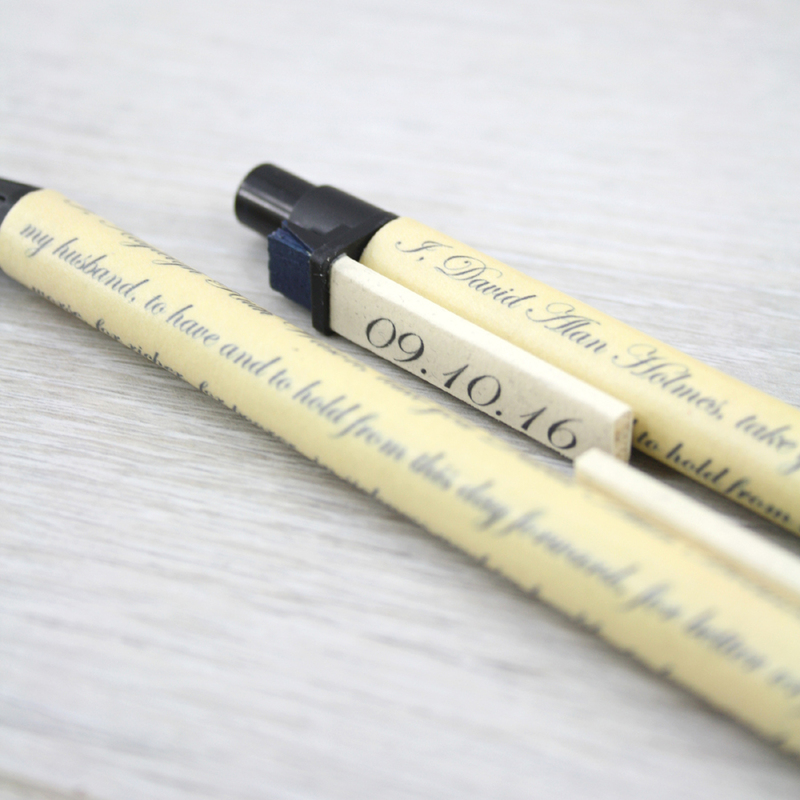 Personalised Wedding Vow Pens. Bride and Groom Gifts. Two pens for the married couple to sign the registry. And have as keepsakes of their wedding day. Full name you want on barrel of Pen 1. 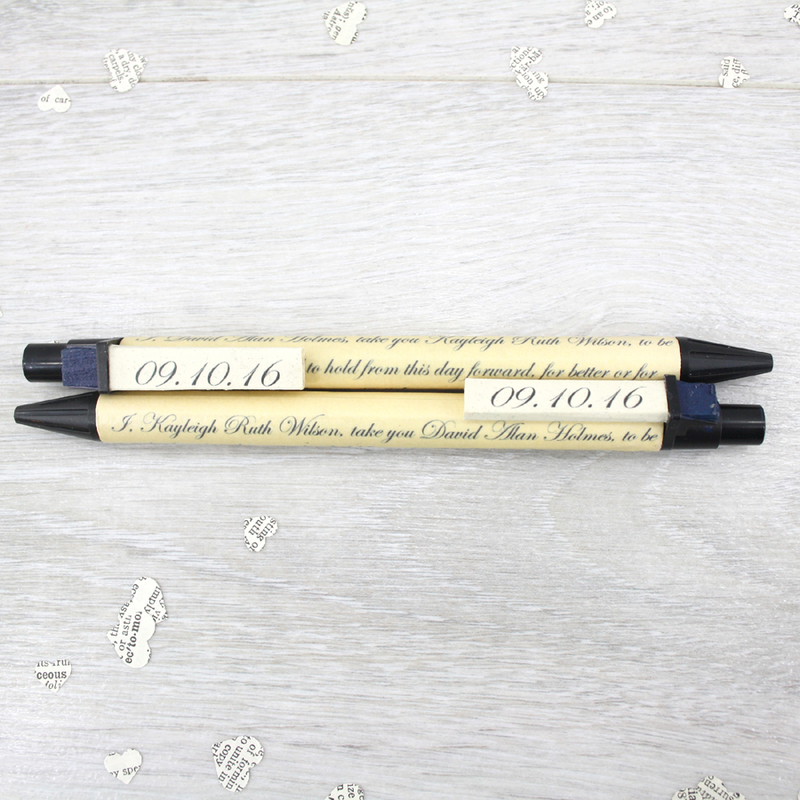 Two Wedding vow pens. 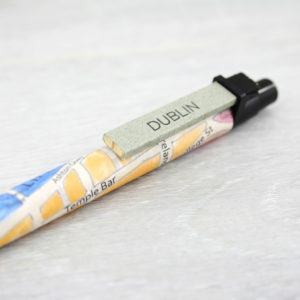 You personalise the barrel of the pen with the bride and grooms names and the clips with the wording of your choice. 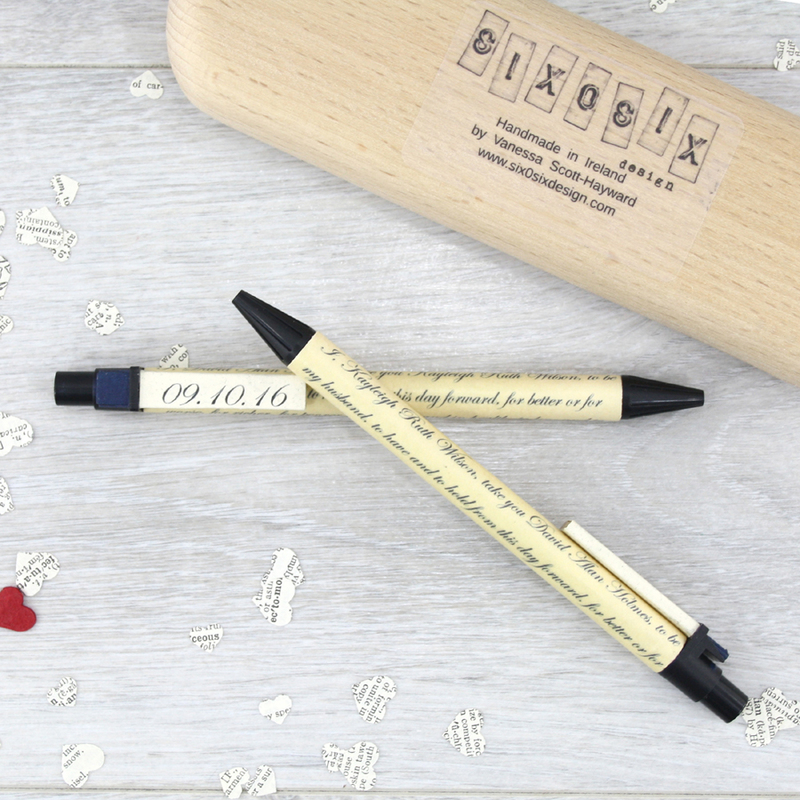 Their names are then integrated into the wedding vows, making them perfect keepsakes for years to come and also lovely additions to the Wedding Day itself as the happy couple can use the pens to sign the register. 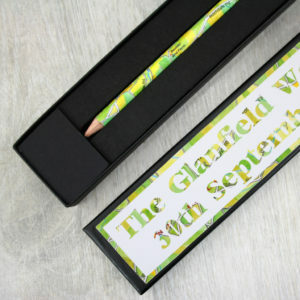 For the clips you can simply pick the bride and groom’s first names or you could have the date of the wedding ceremony. 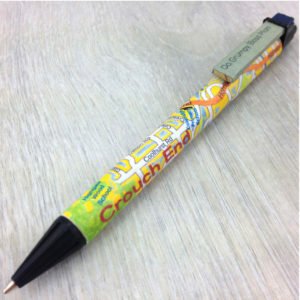 Please note that as each pen is made to order yours will differ slightly from that shown. 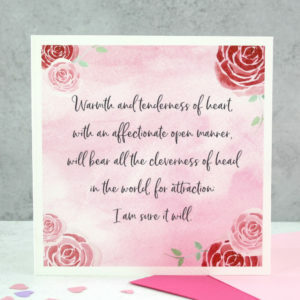 The format for the vows follows the traditional wording used in wedding ceremonies. 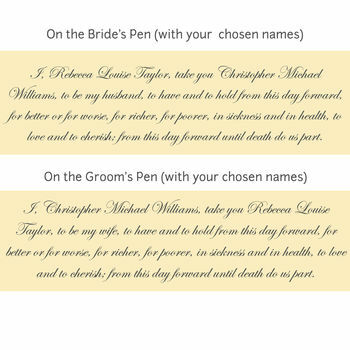 (see the final image) However if you have your own vows that you want on the pens just get in touch and we can customise them to your wording. 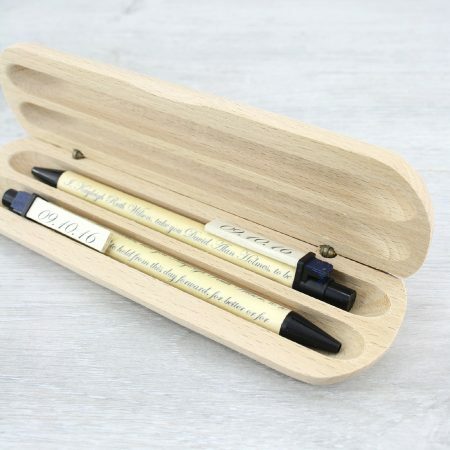 The timber gift box is perfectly designed to hold your wedding vow pens safe and sound. The gift box is made from hardwood timber with elegant brass hinges. 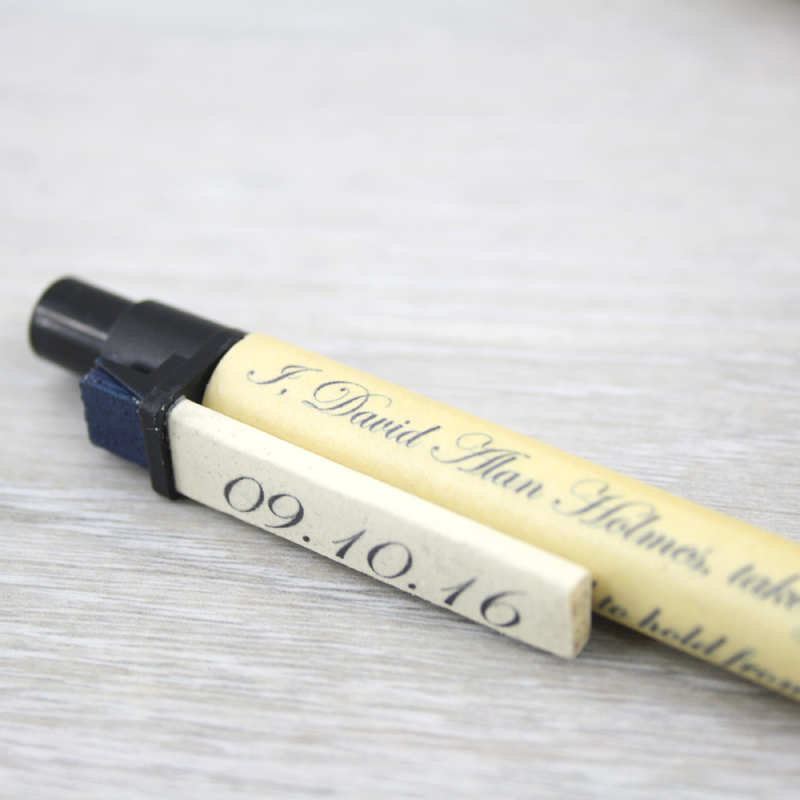 There are little slots for each of your wedding vow pens to sit into.